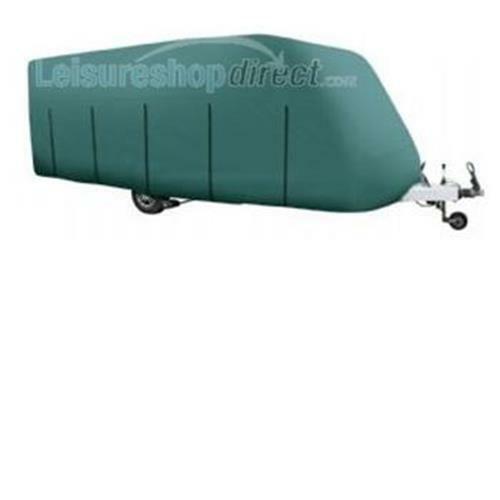 Caravan covers in 4 ply non-woven polypropylene, breathable, water resistant with side zip and fixing straps. Colour GREEN. Includes storage bag.